The Philippine Stock Market is down. 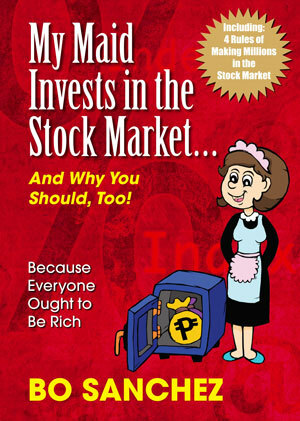 I rushed this article to encourage my fellow OFW's to invest in the stock market while it is on BIG SALE as we call it in the club. This is the right timing to be share holders of MERALCO, SM, BDO, and more big companies in the Phlippines. This is what Warren Buffet did during the recession time where companies shares were at their lowest prices in USA. He kept on buying shares of different companies and look at him now, he is a multi millionaire. Let me explain to you, in my own understanding, how the stock market works. Let us take for example ABC Company being owned by Marie. ABC Company should have 100,000,000 unit shares in order to operate the business. Marie, the owner, owns 75,000,000 unit shares and the remaining 20,000,000 is owned by Marie’s business partners. ABC Company needs more business partners for the remaining 10,000,000 unit shares needed for the business. Since ABC Company is stable and a big company, it is listed in the Philippine Stock exchange. 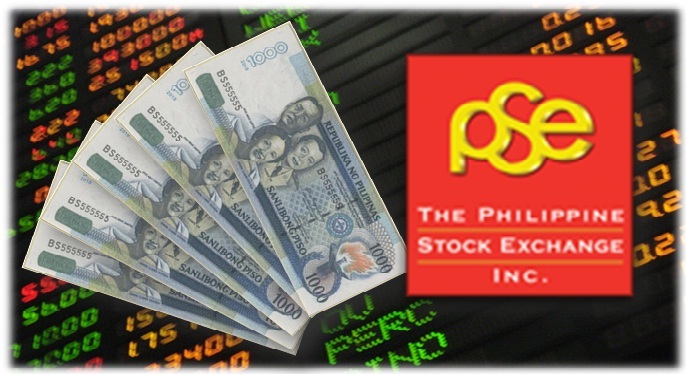 There are 10,000,000 unit shares of ABC Company for sale in the Philippine Stock Exchange. Now, you want to be a co-owner of the ABC Company and a business partner of Marie and this is possible by buying shares from from the Philippine Stocks Exchange. Since you cannot directly do transactions with PSE, you need a trusted broker company like COL Financial. All your stock transactions will be through this broker. Let me continue, let us say ABC Company is being sold at Php5 per share with a minimum of 100 unit shares. The initial minimum investment with COL Finanacial Easy Investment Plan is Php 5000. You can afford that right? When you buy 400 unit shares of ABC Company, you now become a co-owner of the company having 400 unit shares. You might be asking why only 400 shares while you invested Php 5000 with COL Financial? Because there would be service charge and tax fees. When ABC Company performs well in the market, the per unit share value will increase to Php5.01 and up, then your money earns. But if the market goes down, don’t worry about this because you will not be into stock trading. COL Financial Easy Investment Plan is long-term period up to 20 years and uses cost averaging. MERALCO was only Php295, five years back, but now it is at Php330 even the stock market is down.The value of your money increases in the stock market with long term investment. Investors lose big amount of money when they go into stock trading. This is a gambling game and this is not recommended in our club. To understand more about stock market and to have some more tips, please download this e-book, "My Maid Invests in the Stock Market". There are some maids who religiously invested in the stock market with COL Financial’s EIP and now having around Php 400,00 and co-owners of big companies. You will know them inside the book.